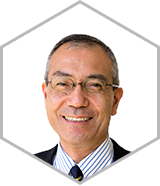 TADF and Hyperfluorescence™ technologies have been invented by Dr. Chihaya Adachi and his research team at Kyushu University, Japan, and are regarded as two leading OLED technologies that are attracting great interest worldwide. Both TADF/Hyperfluorescence™ emitting mechanisms are renowned for obtaining highly efficient EL emission across primary-colors (RGB) without using rare metals. 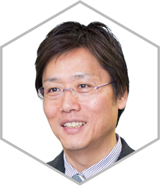 Kyulux was founded in 2015 with Dr. Chihaya Adachi as co-founder and is the only company in the world granted the two critical fundamental patents of TADF/Hyperfluorescence™ . Kyulux aims to provide disruptive innovations for the future of the OLED industry, and is employing a wide range of interdisciplinary experts specializing in all aspects of the OLED field – from materials to device fabrication. In 2016, Kyulux was granted a license to Harvard University’s AI deep learning platform, to facilitate TADF materials discovery. We have recently significantly increased the lifetime of our materials, compared to an approximate 150 hours durability based on LT50 (at 1000 nit) and it has reached the level of practical use in certain applications. We are confident that 2019 will be a significant year for the commercialization of the world’s first Hyperfluorescence™ technology. This will be the cornerstone for the realization of our vision to renew the OLED industry with Hyperfluorescence™ by the middle of 2020’s. I firmly believe that TADF and Hyperfluorescence™ will change the OLED landscape and expand the use of OLEDs beyond the present trajectory. While the underlying technologies were invented at Kyushu University’s Center for Organic Photonics and Electronics Research (OPERA), Kyulux is now leading the critical task of further developing the technologies to bring them to commercialization and realize their full potential. Through Kyulux’s efforts, I am confident that low-cost TADF and long-lived blue OLEDs are on the horizon. At the same time, OPERA will ceaselessly explore new areas and aim for innovative breakthroughs, which will be a continuous source of support for Kyulux in their mission.